The Ebola epidemic has killed 4,951 people out of 13,567 infected in eight countries, the World Health Organization said on Friday, slightly revising downwards its figures for cases mainly due to “suspected cases in Guinea being discarded”. The toll reflects a rise of 31 deaths since the United Nations agency reported its previous figures on Wednesday, while the number of overall cases fell by 136. 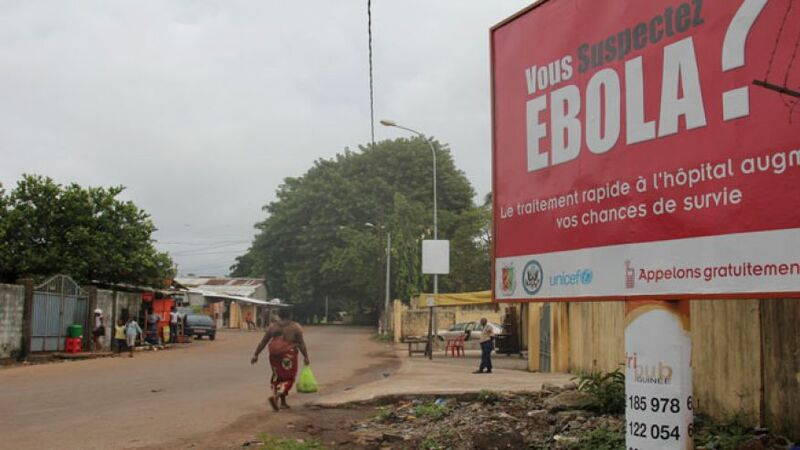 “Of the eight Guinean and Liberian districts that share a border with Cote d’Ivoire (Ivory Coast), only one in Guinea is yet to report a confirmed or probable case of Ebola virus disease,” the WHO warned in the statement. Guinea, Liberia and Sierra Leone account for the bulk of infections of the deadly hemorrhagic fever, but there have been sporadic cases in Nigeria and Senegal, both now declared Ebola-free, as well as Spain, the United States and Mali. A 2-year-old girl who brought Ebola to Mali may have had contact with up to 141 people, 57 of whom have yet to be traced, according to experts from the WHO and U.S. Centers for Disease Control concerned it could spread in Mali and beyond. Liberia, the worst-hit country, may be seeing a decline in the spread of the virus, though the battle to contain the outbreak is far from won, the WHO said on Wednesday. All 83 contacts of a health care worker in Spain infected with Ebola have completed a first 21-day incubation period for the virus, but a second one must follow before the country can be declared free of the disease, the WHO said on Friday. The nurse treated two Spanish priests repatriated from Liberia and Sierra Leone who later died.